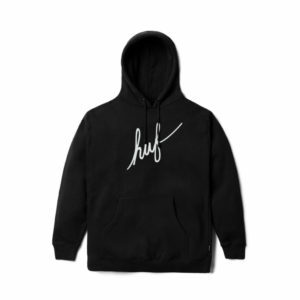 HUF’s founder Keith Hufnagel grew up in New York City when skateboarding was simply not accepted and considered a counterculture of outcasts misunderstood by the majority of society. It was an existence that would ultimately shape Hufnagel’s outlook on life. In light of this, Hufnagel found the need to launch HUF, focusing on skateboarding, streetwear and trainer fashion. Today, HUF has successfully evolved into an independent manufacturer of premium and quality apparel, footwear and skateboarding goods. In addition to representing a more refined and forward-thinking skateboard brand, HUF strives to inspire every individual to go beyond the status quo.